As a face saving measure,huhuonline.com understands that the director general of the Nigeria Intelligence agency (NIA), Mr. Emmanuel Enarune Imohe has officially joined the unemployment line. 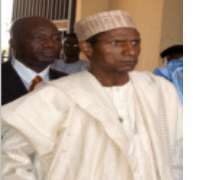 His sack huhuonline.com learnt was ordered by President Umaru Yar`adua. Though no official statement has been issued, presidential sources reveal that Mr. Imohe sack was the consequence of a directive issued by his office to the permanent secretary of the ministry of foreign affairs, Ambassador Joseph Keshi, directing Mr. Keshi not to renew the international passport of former FCT minister Mallam Nasir El-Rufai and Mallam Nuhu Ribadu, former EFCC chairman. “The decision not renew the former Minister`s passport may unwittingly portray the federal government in bad light within the international community as a government that is too sensitive to criticism”. “The best antidote to the Mallam EL-Rufai menace is to generally ignore him, monitor his movement and where necessary respond without delay to some of his most stringent comments.It`s our silence and inability to respond promptly, extensively and effectively to his numerous comments since he left Nigeria that has hurt us most than the things he has said. As it said in Washington, “ a story not denied within 24hours is believed to be true”, hence the white house information mangers are on duty 24hours and they do not fight shy of taking on government opponents all the time”. Continuing , Keshi said “ the essence of this letter therefore is not only to inform you of the implementation of your letter, but to hope that based on the above, you may wish to reconsider the issue, which I have no doubt would show the maturity of the federal government”. As huhuonline.com previously published, unable to perfect or carry out their threat to extradite Nasir El-rufai to Nigeria, the Nigerian government decided to hatch a new plot, which will confine him and restrict his movement within the diaspora. However, Nasir is not alone in this, his bossom friend; Mallam Nuhu Ribadu was also placed on the do not renew passport list.